What terminal does Miami Air fly out of? 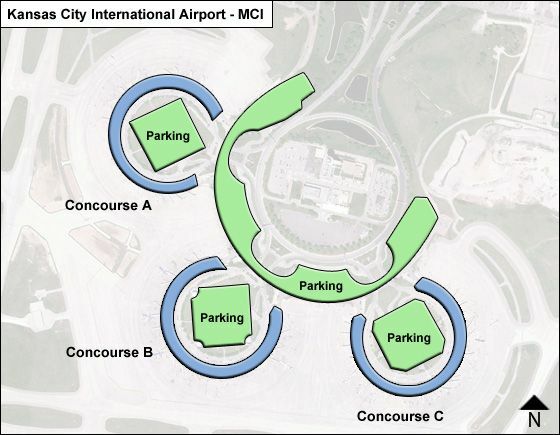 The passenger terminal complex at Kansas City Airport currently consists of 3 circular terminals with their respecive boarding gates surrounding the outside of the ring - Terminals A, B & C and their respective Garages - however, Terminal A is now closed. While Terminals B offers a larger assortment of concessions, Terminal C has a more limited one. All three Terminals are reached from the International Circle, while Terminal A uses the Amsterdam Circle exit, Terminal Buses the Rome Circle exit; and Terminal C uses the Beirut Circle exit. If you need to page a passenger, call 816-243-5237. Getting around: To get from terminal to terminal, use the free Red-line Bus making its round every 15 mins to/from the Circle Parking Lots & between passenger terminals. Its stops are located outside each terminal and are designated by overhead signs marked 'Red Inter-Terminal Connection'. (The Blue-line Buses serve the Economy parking lots only, running every 10 mins and stopping at each covered shelter.) For both Red & Blue line information call 5219 from the white courtesy phones inside the terminals. Both B & C terminals have outside shuttle bus stops for rental cars, hotels and city, and for terminal-to-terminal & parking facility transport. International Arrivals: Unless you have gone through US customs clearance by participating airports, you need to go through passport check, retrieve checked bags, go through customs clearance and - if transferring to another flight - re-check-in bag. Terminal B currently serves AeroMexico /Funjet, Alaska, Delta, & Southwest, and houses gates B31-60. Business Center is at gate 56. Terminal C currently serves AeroMexico/Funjet, Air Canada, Allegiant, American, Frontier, Spirit, & United, and houses gates C61-90. A Business Center is at gate 76. Each of the terminals offers Arrivals and Departures facilities (a) Arrivals with customs check, baggage claim, and arrivals lobby with rental car desks, info counter, & transportation options; (b) Departure with check-in facilities, baggage drop, and after security check access to the boarding area with shopping and dining facilities, and access to depature gates.